Need to put a moustache on a picture of a baby? There’s an app for that! Available on iOS and soon Android Stickerzap is a social network for stickers and allows images to be cut-out and layered to create fun stickers of all kinds. 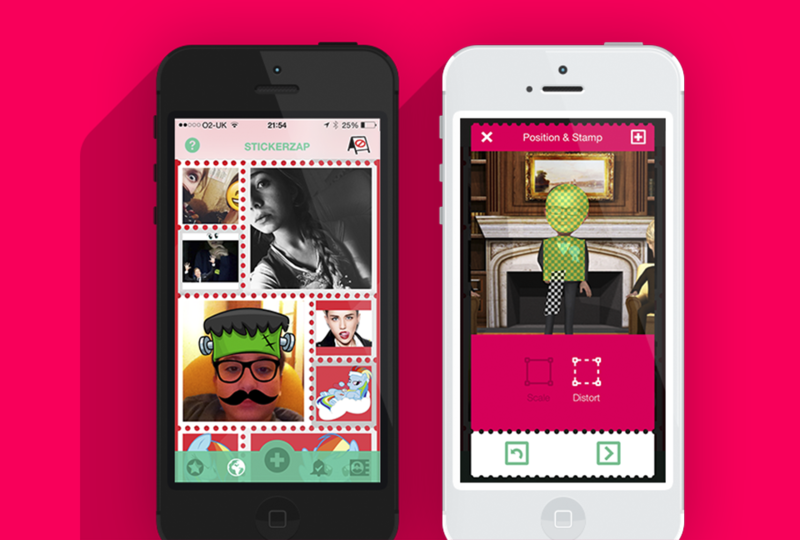 Stickerzap also allows you to add stickers to your photos to create fun photo-collages. As you browse the sticker feeds within the app you can zap any sticker you like providing you have enough coins, which you can always top-up via in-app purchase. We made Stickerzap for Poptacular; the publisher behind 100 Pics. We knew this app would be technically challenging due to all the image manipulation involved but now its out we couldn’t be happier with the simple and fun experience for users.